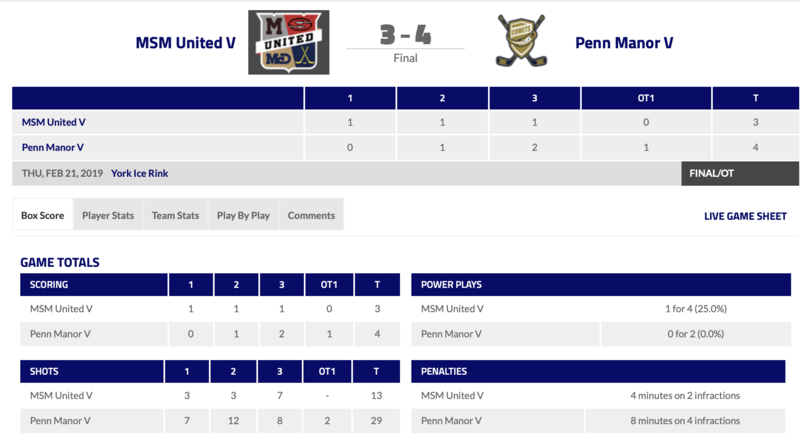 In York, it was an absolute thriller between Penn Manor and MSM United. They needed overtime to settle this one. 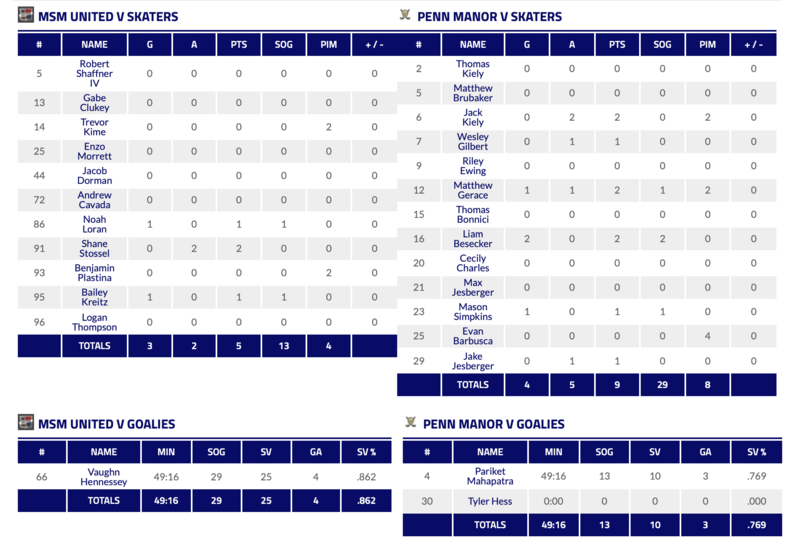 It was the Comets’ Liam Besecker with the winner, 4-3, to advance Penn Manor to the next round, where they will face Hempfield Friday night. For MSM United, it’s the end of their postseason hopes as they are eliminated. 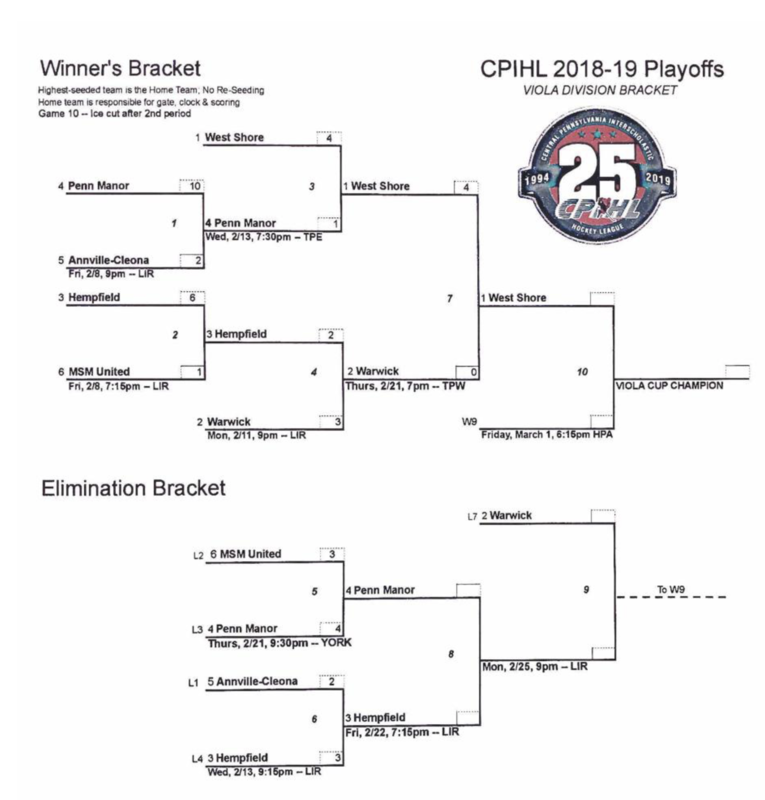 West Shore goaltender William Keeney stopped all 26 shots to lead West Shore to a 4-0 playoff win over Warwick and securing their spot in the Viola Cup finals next Friday night at Hersheypark Arena. 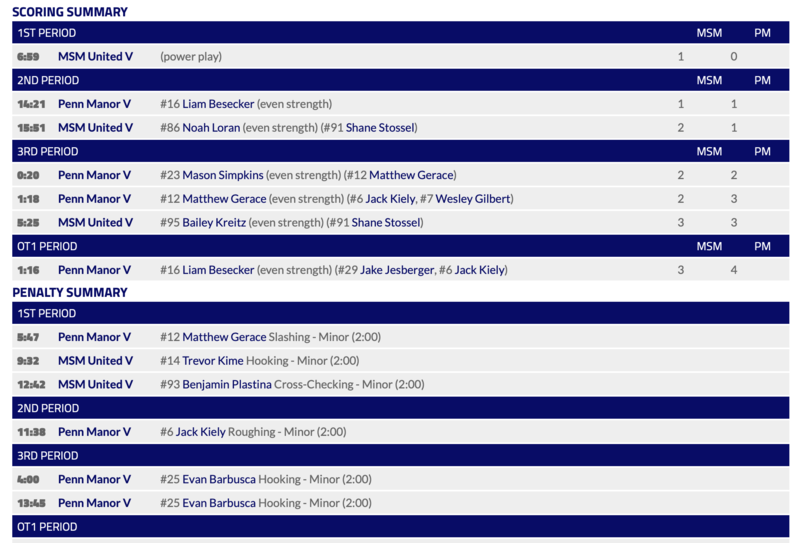 Jesse Troutman started the scoring at 2:32 of the 1st period and added two more for the hat trick! Despite the loss, the Warriors remain alive in the postseason. They will play Monday night for a shot at a rematch against West Shore in the finals. In Bears Division action, #2 Central Dauphin saw leading scorer Brenden Yingling flash a 6-point game, including 4 goals, to lead the Rams past Cedar Crest 11-1. This marks the end of the line for the Falcons as they are eliminated from the postseason.